“Moana” is a cartoon film produced by Walt Disney Studios. In the Ocean emerged the island Te Fiti. Her heart, a small green stone that was the largest ever known magic power to create life. However, one day this heart was stolen by the demigod Maui shapeshifter and gave it to humanity. During his escape, he was attacked by Maui lava Te Kā demon, causing the fall of the heart and of his magical fishhook Ocean. Since that moment, no more information were heard about the demigod. Nevertheless, a thousand years later, the small Vaiana Waialiki, daughter and heir of the head of the small Polynesian island Motunui, is chosen. from the Ocean itself to restore the heart of the goddess. Growing up, his father Tui teaches her that the island has everything he needs his people. But unfortunately, some years later the fish starts to reduce and the vegetation started to “die”, so Vaiana proposes to his father to overcome the reef to find more fish, but Tui refused because during the past he lost a friend in this way. However, Tala, the grandmother of Vaiana (considerated “the crazy of the village”) decides to help her, showing a secret cave hidden behind a waterfall, where there are old boats that remind the past. At this point, Tala gives to Vaiana the heart of Te Fiti that she has preserved since the time when Vaiana was chosen from the Ocean. She also explains to her that the darkness freed from Maui is beginning to consume the island. Shortly after, Tala is seized by an illness and, before dying, she whispers to her to find Maui. Vaiana leaves with her domestic chicken HeiHei but the boat is overturned by a typhoon. The next morning, she wakes up in the island inhabited by Maui. He traps her in a cave to steal the boat and go well in search of his fishing hook; but Vaiana escapes from cave and tries to convince Maui to give back the heart but he refused. That’s because Maui fears that the power of stone can attract dark creatures. In fact, shortly after the Kakamora appear, who are little pirates coated with coconut, who attacked the boat and steal the heart but HeiHei swallows it. 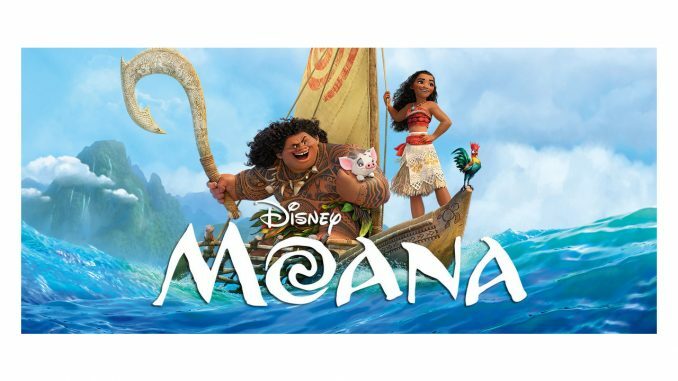 Maui agrees to restore the heart of Te Fiti, but only after having found his fish hook (for which can transform and perform magic) to Lalotai, the Kingdom of Monsters, where it is kept from Tamatoa, a giant crab who collects precious objects. After regaining the fish hook, Maui teaches Vaiana to sail and navigate by following the stars. Thus, Vaiana discovers that Maui was initially born human and his parents did not want him, trewing him to the sea (he has a tattoo about this event that is always covered with hair), and it was saved and became a demigod thanks to ‘intervention of the Gods. So Vaiana understands why he has always tried to help humans with some good actions. However, once they arrive at Te Fiti, they are attacked by Te Kā. Maui is overwhelmed, and Te Kā seriously damages his fishing hook, throwing away the boat. Maui tells to Vaiana that the ocean has got the wrong person. Thus, Vaiana begs the ocean to recover the heart and to choose another person to return it to Te Fiti. The spirit of Tala and his ancestors encourage Vaiana, and she realizes an important thing: Te Kā is actually Te Fiti without heart. So she asks Ocean to create a passage in a way that Te Kā could get close to her, and she sings a song asking Te Kā to remember who is him. Accordingly, the demon allows so Vaiana to give back the heart. Te Fiti returns in its original shape and gives a new boat to Vaiana and a new magic fishhook to Maui, as a symbol of gratitude. In addition, on Maui’s body displayed a new tattoo of Vaiana navigator. Finally Vaiana gives to the island’s inhabitants their past and she starts to travel in search of new islands, accompanied by Maui (turned into a hawk) and Tala (turned into a manta).